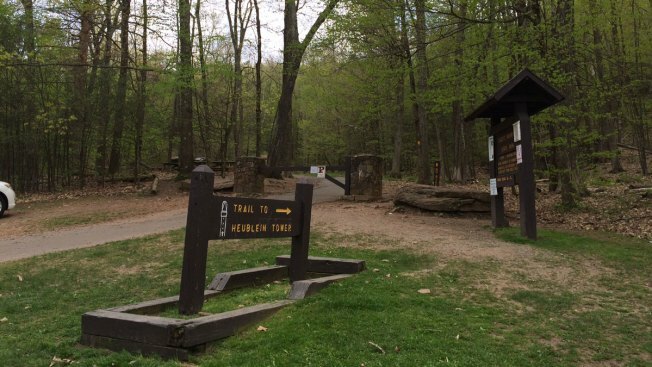 A 63-year-old Avon man was knocked unconscious after he fell while scaling a cliff at Talcott Mountain in Simsbury, DEEP said. The man was transported by LifeStar to Hartford Hospital on Tuesday after sustaining severe cuts and lacerations to his head, according to DEEP. According to DEEP's statement, the man had scaled shale cliffs near Heublein Tower on the Yellow Trail and was about 50 feet high. It was when he fell and hit a tree halfway down that the man became unconscious, witnesses told officials. The man had regained consciousness when DEEP's Environmental Conservation officers reached the scene just after 4 p.m.
Other hikers, including a group of recent medical school graduates, came to the man's aid, DEEP said.